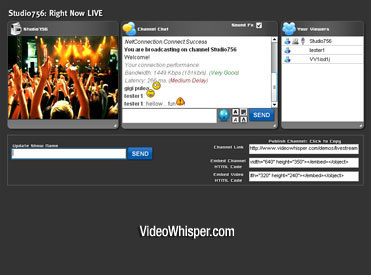 To test a live demo of this 1 on 1 videochat plugin on WordPress, just register a free account on the VideoChat Scripts site and use the top Video Chat menu to setup a room. 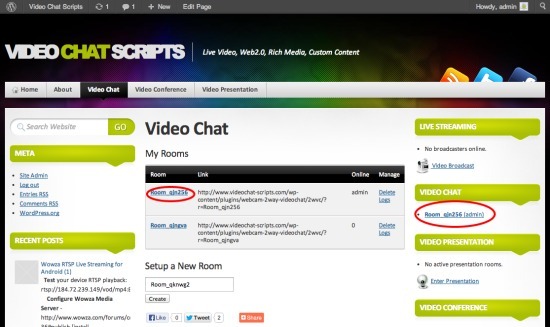 A Video Chat page is added to the website where members can create and manage their rooms. Can be disabled from settings. Functionality can be implemented as shortcode. WordPress Plugin includes a widget that displays active rooms (with participants) and access link if there’s room for another participant. There is a settings page with multiple parameters and permissions. Who can setup rooms and access application can be configured (everybody, members, list of members/roles). 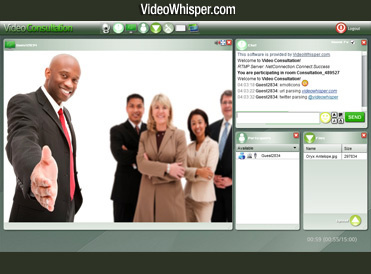 Video chat is the easiest and most cost-effective way to meet somebody and discuss one on one, to make a video call just by providing a private room access link.